When you work with a member of the Cogent Strategic Wealth team, you are working with your own personal Chief Financial Officer. Our job is to ensure you live the best life possible with the resources you have. Objectivity. When it comes to making important financial decisions, we will ensure you have the information you need to make smart decisions. Proactivity. Life happens and usually when you least expect it. We will help you take the necessary steps to prepare for life transitions. Education. Knowledge is power and we want to arm you with the necessary resources to facilitate your decisions and explain the options and risks associated with each choice. Partnership. We attempt to help you achieve the best life possible and will work in concert with you, not just for you, to make this possible. 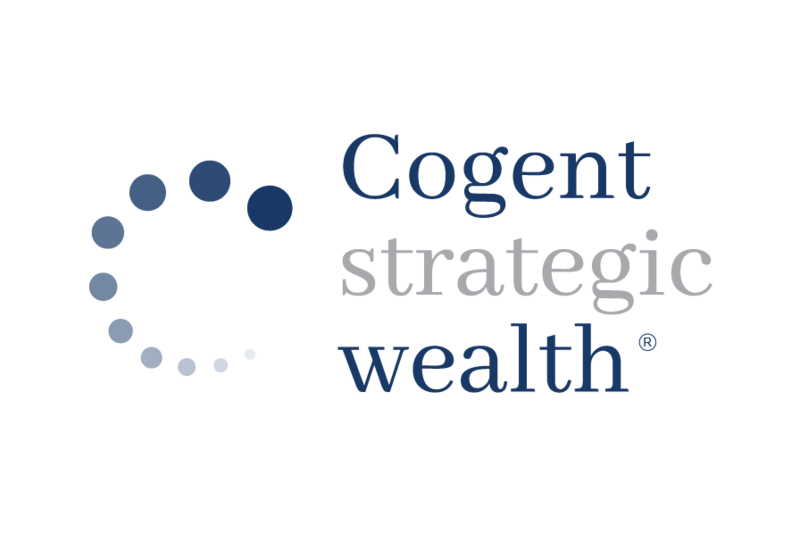 At Cogent Strategic Wealth, we offer a fresh approach to wealth management by combining every part of your financial life into one simplistic view. By understanding you, your investments, your relationships, and your overall needs the Cogent team is able to plan your finances to achieve your goals. A lifetime of experience will tell you that much of investing is beyond our control. How can you forecast for an almost unknowable future? Our investment management is, above all else, grounded. We base our investment philosophy on peer-reviewed academic research. Whether in your youth or in your maturity, the lines that separate career aspirations, charitable giving, family time, and social and leisure activities can easily blur or disappear. That’s why it’s imperative to identify and pursue sensible goals for all aspects of our life. It then takes constant vigilance to ensure those goals come to fruition. With our network of specialized professionals, we address your unique situation and simplify your complex financial needs.